Articles, selected news and personal thoughts – by Christian Terboven. With the increasing prevalence of multi-core processors, shared-memory programming models are essential. OpenMP is a popular, portable, widely supported and easy-to-use shared-memory model. Since version 3.0, released in 2008, OpenMP offers tasking to support the creation of composable parallel software blocks and the parallelization of irregular algorithms. However, the tasking concept requires a change in the way developers reason about the structure of their code and hence expose the parallelism of it. In this webinar, we will give an overview about the OpenMP tasking language features and performance aspects, such as introducing cut-off mechanisms and exploiting task dependencies. The recording from the webinar is now available here: https://youtu.be/C8ekL2x4hZk. 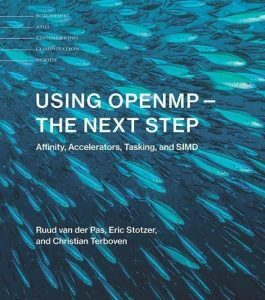 If everything goes according to plan, the book Using OpenMP – The Next Step will appear in time for SC17 (November 2017). The book is already available for pre-order on amazon: https://www.amazon.de/Using-Openmp-Next-Step-Accelerators/dp/0262534789/ref=sr_1_1?ie=UTF8&qid=1504249007&sr=8-1&keywords=using+openmp. This book offers an up-to-date, practical tutorial on advanced features in the widely used OpenMP parallel programming model. Building on the previous volume, Using OpenMP: Portable Shared Memory Parallel Programming (MIT Press), this book goes beyond the fundamentals to focus on what has been changed and added to OpenMP since the 2.5 specifications. 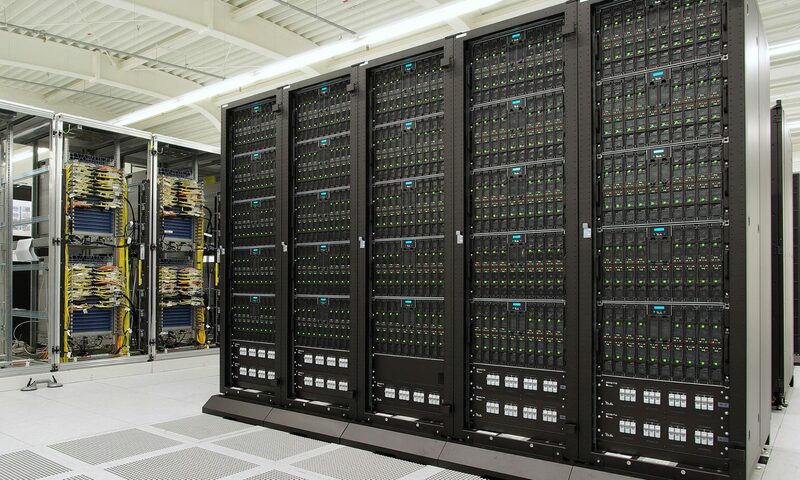 It emphasizes four major and advanced areas: thread affinity (keeping threads close to their data), accelerators (special hardware to speed up certain operations), tasking (to parallelize algorithms with a less regular execution flow), and SIMD (hardware assisted operations on vectors). As in the earlier volume, the focus is on practical usage, with major new features primarily introduced by example. Examples are restricted to C and C++, but are straightforward enough to be understood by Fortran programmers. After a brief recap of OpenMP 2.5, the book reviews enhancements introduced since 2.5. It then discusses in detail tasking, a major functionality enhancement; Non-Uniform Memory Access (NUMA) architectures, supported by OpenMP; SIMD, or Single Instruction Multiple Data; heterogeneous systems, a new parallel programming model to offload computation to accelerators; and the expected further development of OpenMP.